Running noses and green phlegm do not mean patients need antibiotics, say doctors and public health experts. It was described as a "prevailing myth" that the drugs were needed to treat such infections. Public Health England and the Royal College of General Practitioners said the symptoms were often caused by viruses. And the use of antibiotics was leading to resistance, they said. Public Health England said its own research showed that 40% of people thought antibiotics would help a cough if the phlegm was green, while very few thought it would make a difference to clear-coloured phlegm. Dr Cliodna McNulty, from the organisation, said: "It's a prevailing myth that anyone with green phlegm or snot needs a course of antibiotics to get better. "Most of the infections that generate lots of phlegm and snot are viral illnesses and will get better on their own although you can expect to feel pretty poorly for a few weeks. "The problems of antibiotic resistance are growing. Everyone can help by not using antibiotics for the treatment of uncomplicated infections." Taking antibiotics affects the trillions of bacteria that naturally live in the human body and can lead to resistance. Dr Maureen Baker, chairwoman of the Royal College of GPs, said: "Overuse of antibiotics is a serious public health concern. "Infections adapt to antibiotics used to kill them and can ultimately make treatment ineffective so it's crucial that antibiotics are used appropriately." 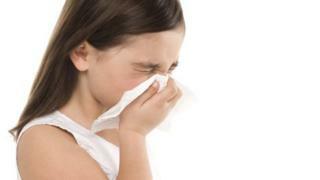 The green colour in phlegm and snot is the result of a protein made by the immune system to fight infection. The latest advice comes on European Antibiotics Awareness Day.